Welcome to Doe-eyed Dreams. Each item is a unique piece that is hand-made using genuine sterling silver and is hall-marked. 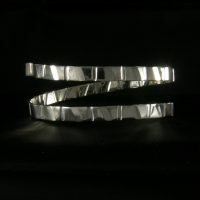 This bangle has been textured to give it an interesting fluted effect. 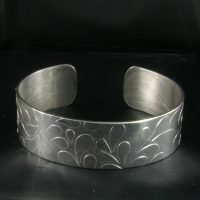 This cuff is textured with a swirl pattern. Matching pendant available. 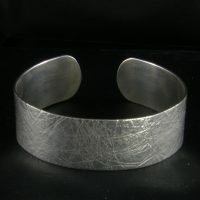 This cuff is textured to give a leather-look effect.